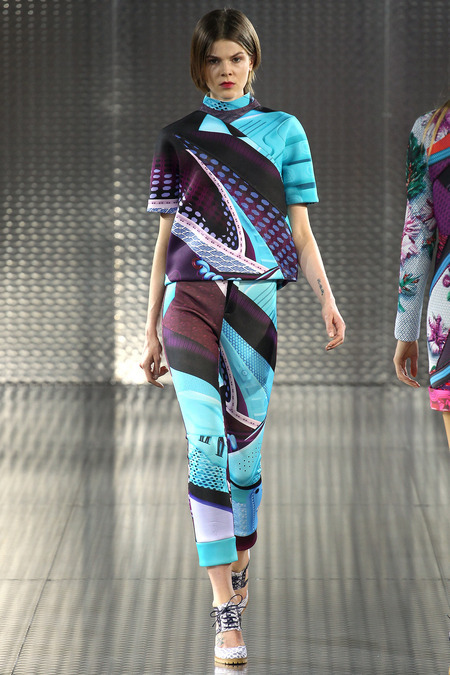 Mary Katrantzou presented her spring-summer 2014 collection at London Fashion Week. 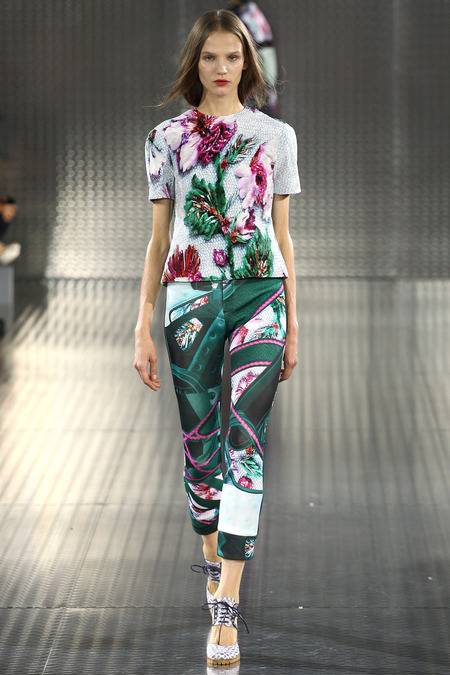 Each collection is a challenge for Mary Katrantzou, her niche narrows as the novelty of her impressive prints fades. 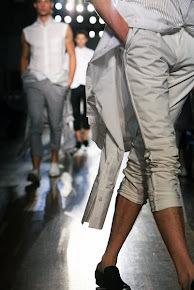 For spring-summer 2014 Mary was inspired by shoes. Her cocktail looks were all about baby dolls exaggerated with ruffles, florals exaggerated with embroidery, everything choking on decoration. For me it wasn't her best collection, but I am looking forward to her next one. Her creativity is still inspiring!